“It was not exhilarating to be surrounded by crowds of strangers, most of whom had a rather alien appearance, as if not quite sure where they belonged.” This is Anne Shirley’s response to registration day at Redmond College in L.M. Montgomery’s novel Anne of the Island. She and her friend Priscilla “gladly made their escape” from the college in order to retreat to “Old St. John’s Cemetery,” Montgomery’s fictionalized version of the Old Burying Ground in Halifax (which I wrote about here last year), for “the first of many rambles.” Redmond College is based on Dalhousie University and the “quaint old town” of Kingsport described in Anne of the Island is based on Halifax. 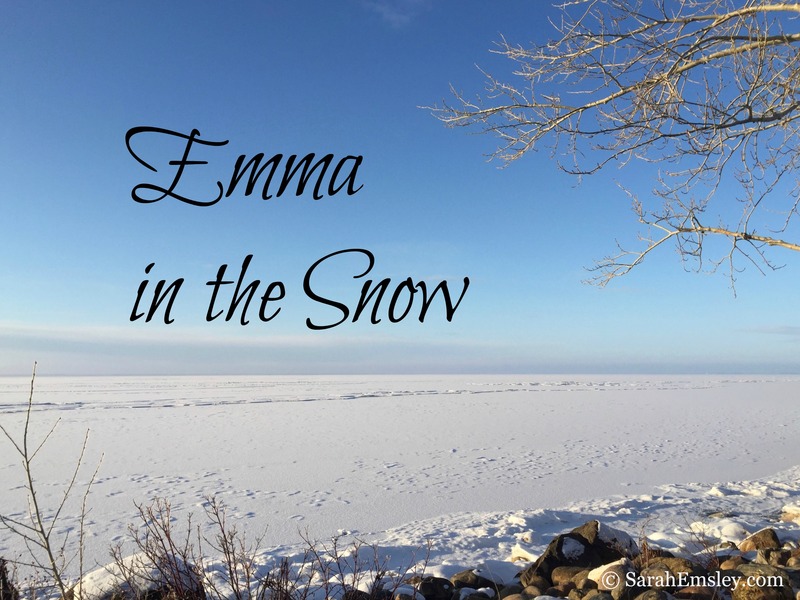 Lindsey Reeder is organizing an Anne of Green Gables Readalong this year, which started with the first book in the series in January and continues with one novel per month, right up to Rilla of Ingleside in August. I love rereading these books and am doing my best to keep up (although I have no illusions about finding time to write a blog post for each one!). If you’re interested, you can follow along with Lindsey by subscribing to her blog and by talking about the books on social media with the hashtag #GreenGablesReadalong. 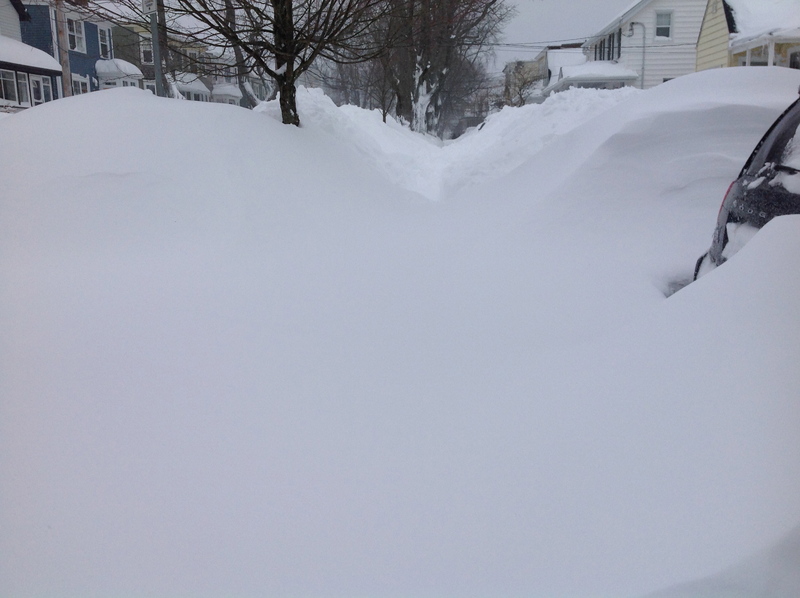 More than 50 cm of snow on top of what we already had in Halifax. So of course I stayed home and watched the six hour Pride and Prejudice miniseries. You can see all eight of Elly MacKay’s illustrations for the “Anne” books on her website, along with the covers she did for the three books in Montgomery’s “Emily” series. And, while I’m on the topic of book covers – if any of you have ever considered choosing clothes to match the covers of the books you’re reading, you might enjoy this fun blog post at Tundra Books: “Fashion Friday: Anne and Emily.” I think the dresses pictured here ought to be available as a set, perhaps even sold with the Montgomery novels. I can think of at least one friend who would buy all the Anne and Emily dresses…. Also – has anyone done something like this for Jane Austen’s novels? 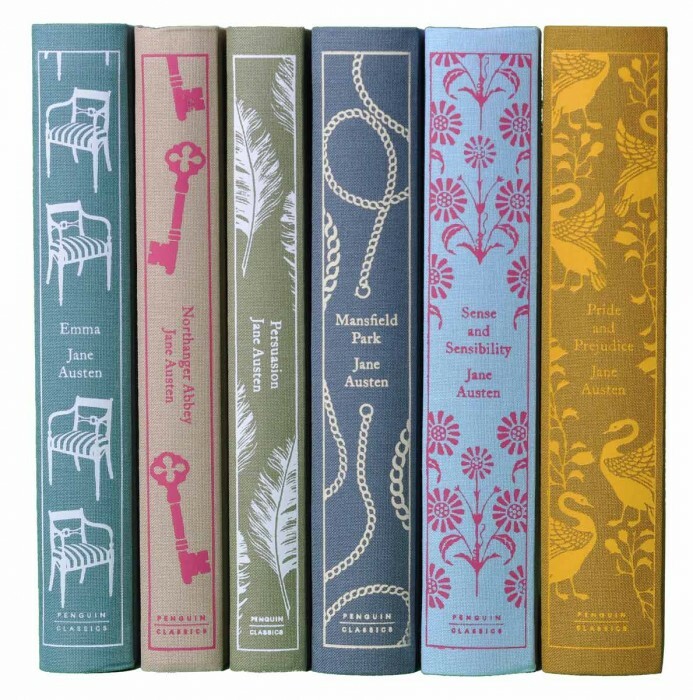 I’m imagining a set of six Regency gowns that match these Penguin editions. Or, better still, a set of costumes that recreate clothes mentioned in the novels, including, for example, a red coat, a blue coat, a muddy petticoat, and a “worked muslin gown” with a “great slit” in it (Pride and Prejudice), a pink satin cloak and a lieutenant’s uniform (Mansfield Park), white, purple, and spotted muslin gowns (Northanger Abbey – see Clothes in Books for a blog post on Isabella Thorpe’s “I wear nothing but purple now”), and so on. I’m just getting started, but I’ll stop there! I’m sure you can think of many more examples of clothes in both Montgomery’s and Austen’s novels. And I guess it’s no surprise that even when I’m writing about Montgomery, I always come back to Austen. Now I have a better picture in my mind of which building it was that Anne and her friends were gathered around. I also loved reading your post about the Old Burying Grounds. Thanks, Naomi! I’m glad you enjoyed both posts. I’ve had such fun tracing Anne’s journeys around Kingsport/Halifax. Loved your post, Sarah! Makes me want to stand in the foyer of the Forrest Building! Sorry you didn’t get to go to PEI after all. I think your current wine idea is fabulous, as is your idea of dresses based on that gorgeous set of Austen novels. I hope both ideas become reality. I mean, of course, “currant” wine. My current wine is a Pinot! 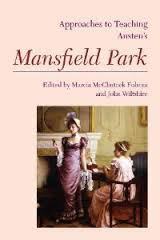 Thanks so much for visiting, Dawn, and for your kind words about the Mansfield Park series. What fun to explore the Anne books you missed when you were a child. I’m always happy to help introduce readers to L.M. Montgomery novels. It’s been many years since I last read Anne of Windy Poplars, so I think I’ll have to read that one next, even though I don’t really have time to reread the whole Anne series this year. And I don’t remember Rilla very well, so I might have to try to find time for that one as well. Oh! I didn’t realize that Redmond was based on Dalhousie. Another reason for me to actually visit Halifax one day, to see all the Anne-related locations there. Thanks for reading! I didn’t know about the connections when I read the novel for the first time, and I’ve enjoyed rereading it alongside LMM’s journals. I hope you do get to Halifax someday, as it’s well worth visiting — for many reasons. But don’t come now, as we are buried in snow and there’s no sign of spring here. Come in October sometime, when Nova Scotians can usually echo Anne’s enthusiasm for fall weather: “I’m so glad I live in a world where there are Octobers. It would be terrible if we just skipped from September to November, wouldn’t it?” This year, Nova Scotia seems to have skipped from February to December…. What an informative and imaginative post! I am so glad you shared this! You just added so much to my reading/reviewing experience of this book/series! Thank you! Thank you! I’m happy to hear that you enjoyed it. I’ve just read your post on the novel, too — thanks for highlighting such interesting passages. The conversation about Davy’s conscience is so good! Davy is such an amazing character! It’s beautiful. Thank you for depicting redmond. Oh, I would love to visit those places so badly. Anyway, I am curious about the fact that Gilbert became the captain of freshman football team. I mean, had football come to dalhousie university by that time? Thanks for visiting. I’m glad you enjoyed reading about Redmond, and I hope you get a chance to visit “Kingsport” someday. I know a tiny little bit about the recent history of Dal’s soccer and track teams, but I’m afraid that’s all I know about sports there, so I’m no help on the topic of football. Let me know, though, if you find out anything! I’ve really enjoyed reading all of your posts about Anne in Kingsport/Halifax. 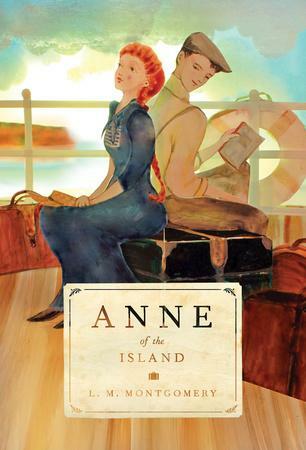 Anne of the Island is a lovely book; I so enjoyed reading about Anne’s adaptation to a new set of opportunities in a new place. The photographs you took make it vivid and so much easier to imagine the scenery, especially for someone who like me is not North American. 1) Someone asked about Gilbert becoming the captain of the Freshman football team. Does that mean he played the sport himself? 2) What sort of group was the Philomathic Society? What subjects or interest area(s) would such a society cover? One evening Anne reads a “Tennyson paper at the Philomathic” according to Roy Gardner (boo hiss). Does this mean she read out an essay? Was this an awards ceremony of some kind? Who selected her to read out this paper? Elsewhere in the narrative, Stella writes a “paper for the Philomathic Society”; would she too have been expecting to read it out? What were the benefits to joining this society? 3) In the second term of her first year, Anne enjoys the “doings of the various societies of which she was a member”. Here’s a sample of university societies I joined: canoeing – classical choir – hillwalking – Amnesty International – linguistics and modern languages – caligraphy (!). Would the societies that Anne joined have been anything similar, in terms of being collections of people wanting to share an interest or hobby? 5) What exactly would have constituted a “gay little social stunt” at college in the early 1900s…? It sounds somewhat mischievous, and though Anne’s light-hearted, I can’t quite see her being a juvenile delinquent…! Thanks for visiting, Anna. I’m so glad to hear you’ve enjoyed these posts. I’m afraid I don’t know very much about the details of college life in that period. If I were researching that topic, I’d probably start with the section on Montgomery’s experiences at Dalhousie in Mary Henley Rubio’s biography Lucy Maud Montgomery: The Gift of Wings. For advice about hiking in Nova Scotia, I always turn to Michael Haynes: http://www.gooselane.com/authors.php?contributorId=154. 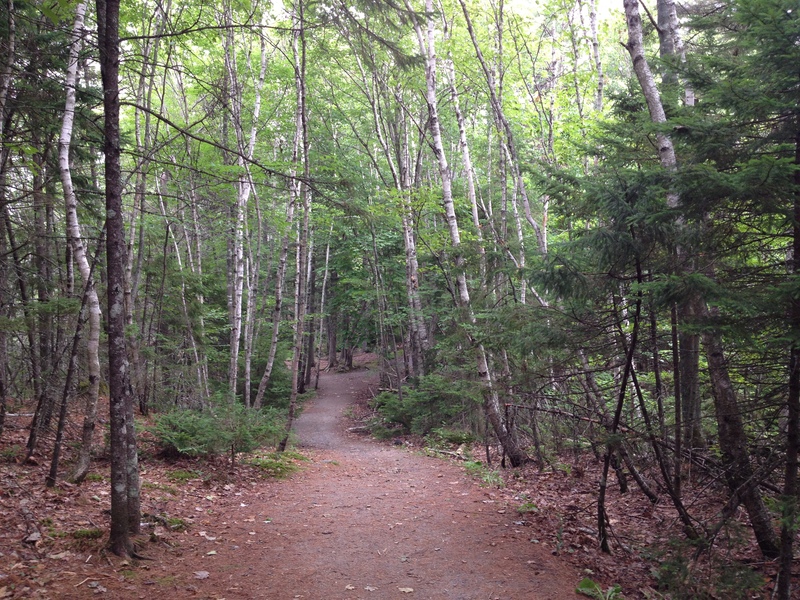 And yes — there are some fabulous trails here, including the ones at Point Pleasant Park, which Montgomery knew and loved. Hi Sarah! Thanks for your response. Michael Haynes’ website and resources look great. A friend and I visited Canada together ten years ago, and were talking just the other day about how much we wanted to visit again. Perhaps Nova Scotia will be on the list. 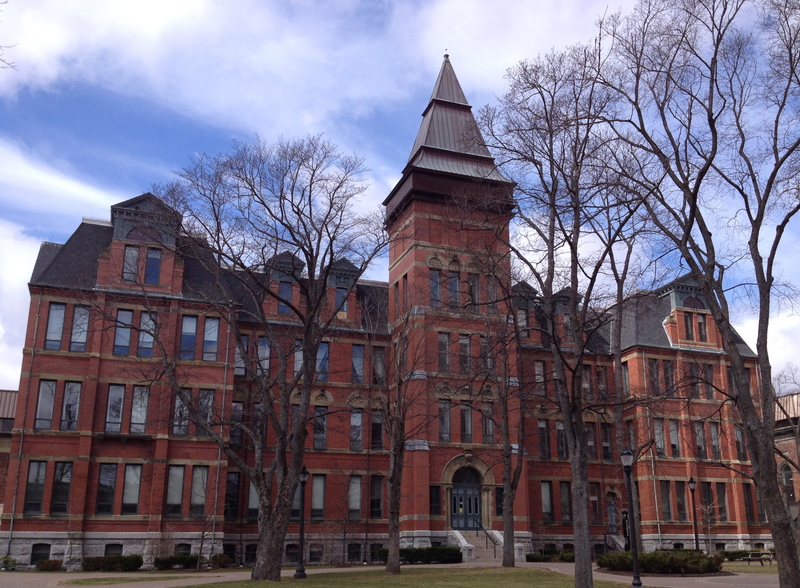 For the queries about college life in the 1890s-1900s, I’ll follow up the book that you mentioned. Thanks! I am JUST bk frm P.E.I .via Halifax to Glasgow.had 2 gr8 wks & recommend plsy “Annw& Gilbert”too. 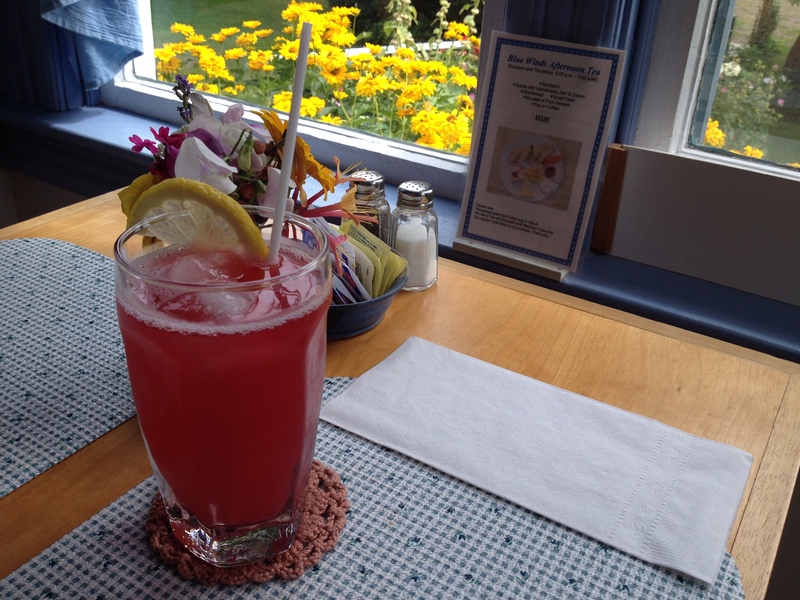 Glad to hear you had a good time in PEI. I was there last week, and I walked past The Guild Theatre and lamented the fact that we were leaving on Tuesday morning and the first performance of “Anne & Gilbert” was on Tuesday evening. I’d love to see it again.